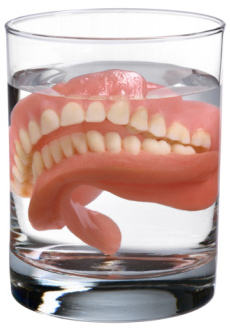 Fed-up of wearing loose dentures? Implants offer a variety of possible options for patients with all their teeth missing in either or both upper and lower jaws. Rather than putting up with loose dentures that move when you eat or speak, with the embarrassment and negative effect on quality of life this entails, dental implants can offer the option for ideally a fixed implant bridge supported by multiple dental implants (see implant full arch bridges “all on 4/6″™ “fixed teeth fast”™ page). However, in some patients, a fixed implant bridge may not be possible for example, either for cost/financial reasons or if they have already had extreme bone shrinkage loss. 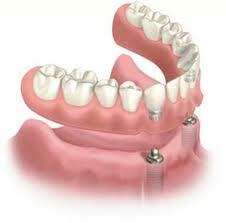 In these cases, an implant over-denture, where either the patient’s existing denture can be adapted to enable attachment to dental implants using Locator (Zest Anchor) attachments on a minimum of 2 healed dental implants or a new metal reinforced denture can be made, either of which will allow the implant overdenture to be “clicked” in and out for cleaning and give the huge benefits of improved retention grip, stability and confidence in the implant retained teeth when these are clicked into the implant Locator attachments. This video from our Youtube channel shows an extreme and unfortunate (comedic) example of a politician attempting a speech only for his loose denture to interfere with his speech so exemplifying the benefits of fixed teeth and the impact on confidence that tooth loss causes. Please ‘phone 014563 764287 to book your consultation and test a model to see the difference the implant overdenture stabilisation technique could make to your quality of life and Confidence!